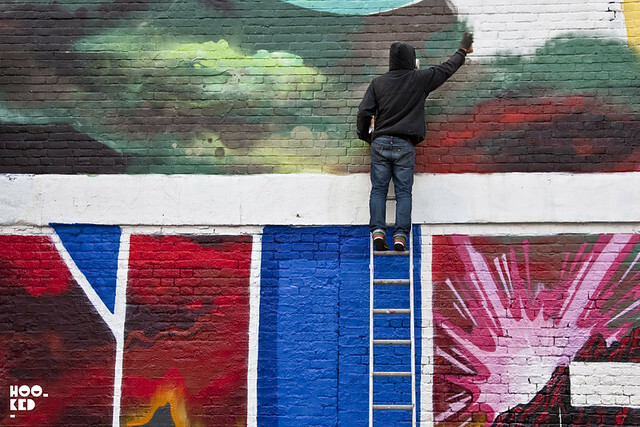 Hookedblog swung by the Village Underground wall over the weekend as we had heard that the Stik and Thierry Noir piece was getting a make over and the next group of artists had begun working on a new mural. 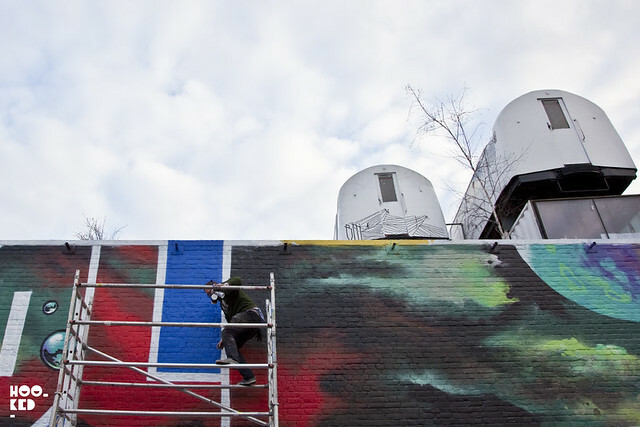 Progess was well under way on the wall when we visited the location on Friday afternoon, the previous piece had been white washed and the next team up, The Rolling People had already completed the lower section of this huge wall space. 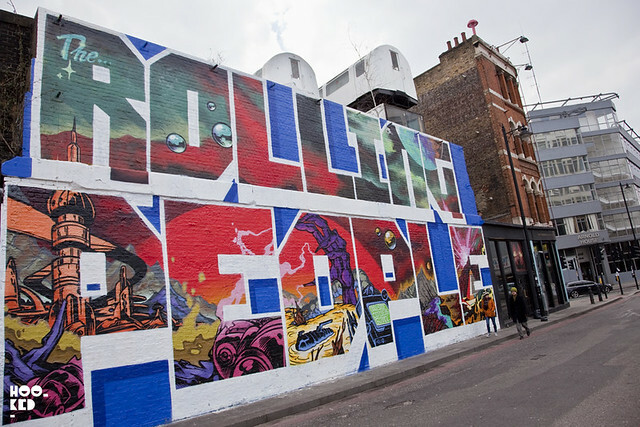 The Rolling People aka TRP are an East London based graffiti crew who were invited to paint the space as part of Street Art London's collaborative Wall Project with Village Underground which has previously featured work from UK artist's Phlegm (covered here), Kid Acne and most recently Stik and French artist Thierry Noir. 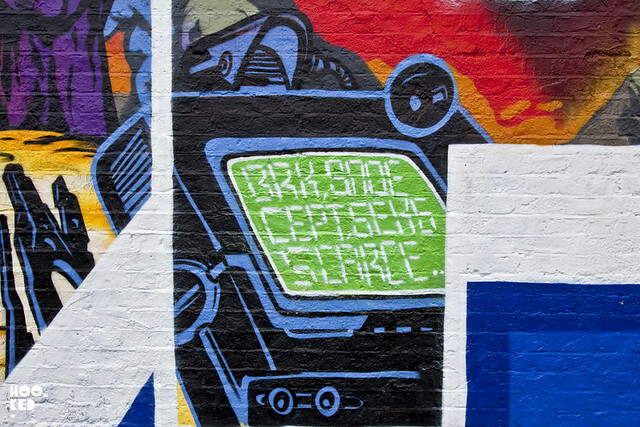 The latest mural pictured, was finished on Saturday evening and saw TRP artists SCARCE, CEPT, BRK and SNOE completely transform the wall with this impressive typographic galactic creation! 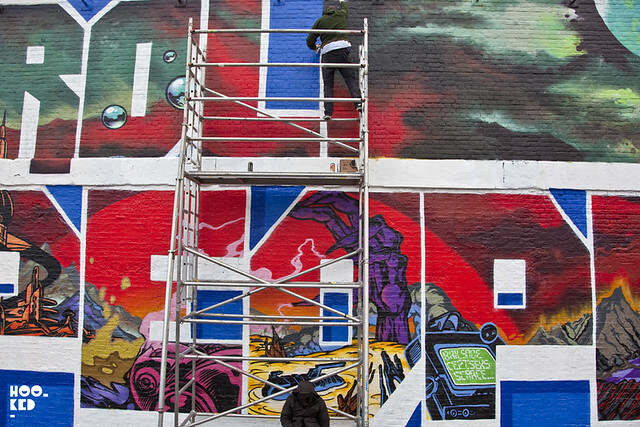 Below are some progress shots of the artists at work on the wall. 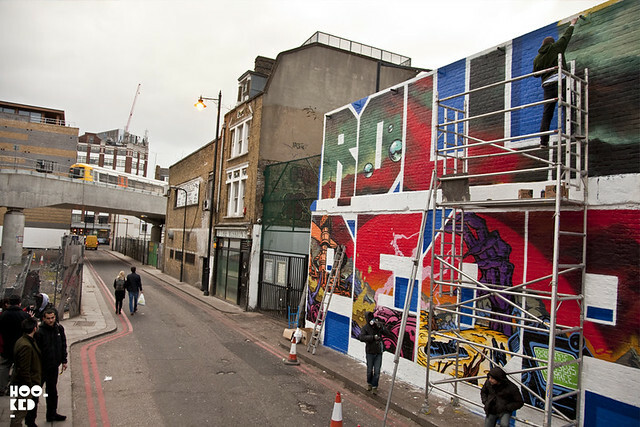 If you find yourself in the area The Rolling People's Mural is location at 54 Hollywell Lane in East London.